Star Wars fans will get it! So will anyone who loves forests and trees. Cap is brown. 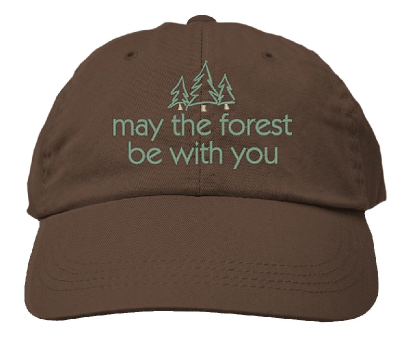 Embroidery is forest green and says: "may the forest be with you."